Well, the dust has settled from the 2019 budget deliberations. I wanted to take a few moments to share some thoughts on the proceedings (my first as the councillor for the University Ward), and my overall feelings on our budget. First of all, I must commend City Manager Rod Sage and his team for providing a thorough overview of each department. Council received word in late December that the budget was ready, and spent the last month studying and preparing questions and amendments to the budget to try and reach a balance that continues investment in our city, while keeping costs affordable for residents. Ultimately, I think our 1.17% increase does accomplish that. 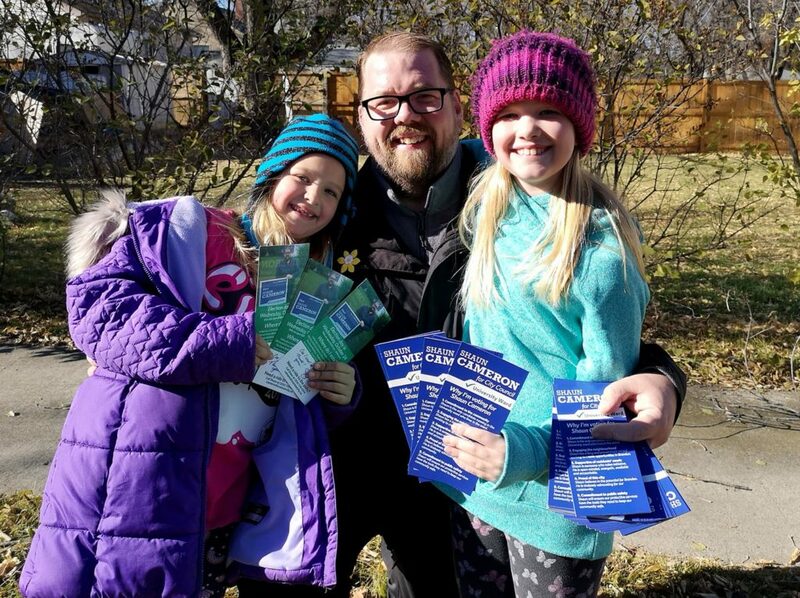 Admittedly when we received word the proposed increase would be close to 4-per cent; I, like many of my colleagues, were of a feeling that the increase would be difficult on residents, especially in absence of any real measurable “new spending”. 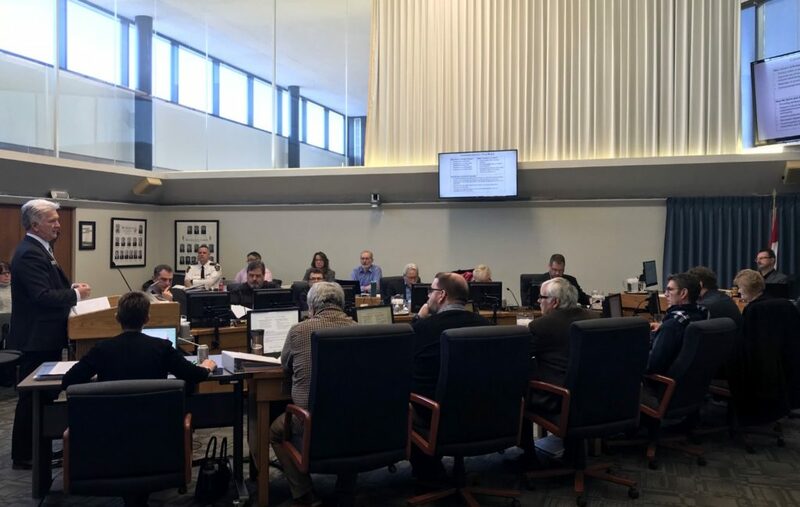 Some of the money was ultimately catch-up, but some would be to allow for corrections in departments that caused shortfalls, as well as a lack of provincial investment in programs such as transit and the municipal roads and bridge funding. Ultimately, I do believe some form of funding will re-emerge for both costing centres, but in the interim, it results in over $800,000 in lost revenue for the city (or close to 2% of a potential increase). Overall council proposed over 40 amendments to the budget, which signalled what could become a fairly lengthy day of review. Following calculations of all the amendments, the proposed tax change was essentially close to a 1% rollback in taxes. With that said, it would have been more than a bare bones budget and would have left a number of departments challenged to operate in 2019. Essentially, the process sees a strip down of costs, then a rebuild, based on council’s desire, to certain areas of the budget. A fascinating process, that 11 hours of debate later, would yield a budget that would result in a 1.17% increase to the rate payer, or roughly $21 increase on a $255,000 house. One highlight I’m rather proud of is a motion I had put a great deal of thought into prior to the budget. Council supported the motion to add a total of $75,000 to sidewalk repair, strengthening and replacement throughout the city. This was an item that was raised by a number of residents throughout the ward during the election. 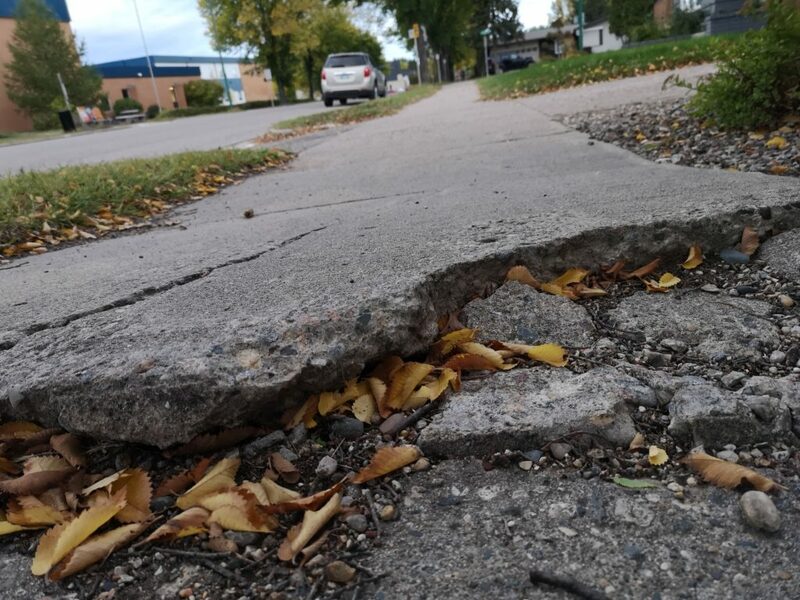 This will bring spending on sidewalk repairs this summer up to $325,000, which should allow for more work to take place in that department. As a supplement to that, council agreed to transfer $50,000 more from gas tax reserves for work on curb cuts. These are the gradual entries to sidewalks. I felt in bringing this forward, it would help people in our community with mobility challenges. Again, this should help complete further work on curb cuts, and maintenance and essentially provides residents with $425,000 in investments in sidewalks throughout our community. Increased city funding towards capital investments at the Keystone Centre. A further $100,000 committed to the Parks reserve (savings account) to be used by the city to assist in the rollout of funding following the release of the Recreation Master Plan. Enhanced investment in community centres. A further $100,000 was added to the budget. $300,000 investment into the Brandon Downtown Development Corporation. $30,000 in investment in the Brandon General Museum and Archives. $3,600 to re-establish the Youth Cadet Program through the Brandon Police Service. $40,000 in combined investment in the Downtown Ambassador program and the Kristopher Campbell Memorial Skate Plaza Ambassador program. $25,000 for the Mayor’s NEO (Not Even Once) program to assist with educating youth about the dangers of substance abuse. The budget did have its fair share of challenges though. Council was forced to reduce transit funding to better align with the need currently in the city. This will have a negative effect on Route 16 & 19. They will, in the near future, cease to exist. With that said, the city is committed to ensuring that a level of service continues for the community through the TransCab service. Ultimately it was ridership that caused these two routes to be chosen. Most routes in the city average around 20 riders per-hour. These routes averaged 8 and 5 riders per-hour respectively. It was a tough decision and one I personally wrestled with for some time. I did not seek out a seat on council to solely cut, but I did seek to represent the need of residents and ensure life remained affordable. This, although a consolation, was a measure of doing that. Council is now committed to making transit one of the focuses when we gather later this year for our strategic planning session. The other challenge to this budget came in the form of revenue in the city. Our landfill was much lower in revenue this year over past years. That, coupled with a change in how revenue is ultimately calculated at the landfill caused for a decrease. Council helped lessen the blow in this area by reducing appropriations to reserves. Ultimately, it would have been somewhat disingenuous of council to ask tax payers to front the full amount of this by fully funding reserve appropriations through increased taxation. City officials are planning a review of operations at the landfill, and I have faith in the work that will be done there. Overall it was a budget that “got us over the hump”, so to speak. It was a year that had a handful of challenges, and city administration, in conjunction with council has helped address some of those challenges. I look forward to our strategic direction discussion as it will give council a base for where they would like to go over the term. If you have any questions, I welcome the call or email. (204) 724.0334 or ward4@brandon.ca.